Physical activity and exercise are good for you – at every age. 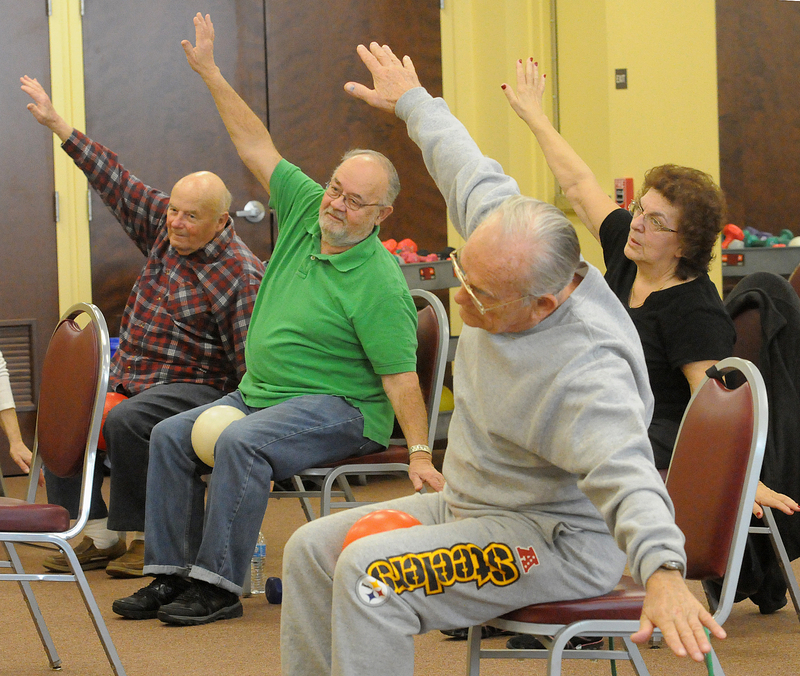 For older adults, being physically active is vital to health and the ability to remain independent. Even those who are frail or suffer from the ailments and disabilities common among elders can improve their health with moderate levels of activity. Exercise is medicine. You may feel young at heart. Your elders may also feel young at heart. But we’re different as we age, and there’s no getting around that. Our brains are different, and they work differently as we age. How can we adjust and make that different less discouraging? In my last post, I wrote about how important I think it is for patients to keep moving, walking, if possible. Of course, for many patients there comes a time when real mobility become impossible. Various health concerns may confine an elder to a wheelchair, or to a bed. If a person stays in one position too long, the skin breaks down in the area of the body that’s bearing the weight. The skin first becomes red and irritated, then it cracks or tears. These sores are very, very painful. They can lead to dangerous, sometimes even fatal, infections. Once a pressure ulcer appears, it can be very difficult to heal. It’s better not to let them appear in the first place. So, how do you hold the line against bedsores? Keep moving! Whatever their situation, an elder should change position at least every two hours. If they spend a large part of the day in a wheelchair, use a reclining wheelchair to ease those position changes. Many elders like sitting in recliners, and again, it’s easy to change position in a recliner. Sit up straight, then lie back, then try a middle position. If the elder is in any sort of chair, be sure to use a GEL CUSHION (not foam) seat. The gel cushion further guards against bedsores, otherwise known in medicine as ‘pressure ulcers’. Having the occupational therapist help determine the proper seating and transfers is important. If your elder is in bed, make sure it is a hospital bed that can change angles, and has an air mattress that changes pressure, which also helps to prevent bedsores. Adjust the position of the bed every couple of hours. Have the elder lie with a pillow under the left buttock for 2 hours, then change to the pillow under the right buttock. It is best to keep the head of the bed to 30 degrees and cushion any bony spots. Lastly, NEVER, put the pillow under just the knees- that contributes to leg contractions. Always put the pillow under the calves and make sure the heels are floating (check that a hand can pass below the heels). Waffle boots may help. But any booties that only put lamb’s wool under the heel, but don’t reduce the pressure on the heel, will not help. And of course, never feed your loved one while they are lying down. They need to sit up near 90 degrees (straight up) to decrease the risk of aspiration…. It is best to eat when up in a chair not in the bed if possible. Turn it into a game. What position will we do next? Do whatever you need to do, but make sure your elder moves. I often have families of patients express concern about how much mobility a person with dementia should be allowed. Elders with dementia often want to move in ways that seem excessive to the rest of us: They may wave their arms all the time. Or they may pound their feet on the floor. Most often, they want to walk. I have had many patients who simply want to walk all the time: Up the hall. Down the hall. Around the garden. Around the garden again. Hour after hour. Day after day. Invariably, this raises concerns, both for families and for caregivers. What if an elder has less than perfect balance? What if an elder doesn’t have an accurate assessment of risk? What if the elder falls? How should we balance the elder’s desire to move and walk with understandable concerns about safety? If at all possible, I try to work with families to create an environment in which the elder can move around. Dementia patients often experience agitation and anxiety, moving around is one way that patients cope with those feelings. Walking, and other kinds of movement, not only relieve stress but tone muscles and strengthen bones. As a geriatrician doing house calls around the San Francisco Bay Area, and as the medical director of an assisted living facility for dementia care, I do not use restraints. I find that there are almost always better, and kinder, options. Instead of tying down a patient, I try to answer questions like these: Are there ways in which the elder’s physical environment can be changed to allow movement yet make falls less likely? For instance, are there obstacles that might be removed, or area rugs that might be pulled up? Would it be possible to install railings or handles that might steady an elder as they move? Is the elder taking medications—like sleeping pills—that might affect balance and increase the risk of a fall? If the patient wants the freedom to get out of bed, might it make sense to use a low bed and a mat, or perhaps, to put the patient’s mattress on the floor? Of course, even with preparation and one-on-one supervision, there is no way to guarantee that an elder won’t fall. It’s important for each family to have an in-depth conversation with caregivers and the medical team. Each family will have different priorities, and of course, that should be respected. But if at all possible, I try to help my patients keep on trucking. For one patient, that might mean walking. For another, it might mean just waving their arms, or perhaps twirling around. Elders are usually happier, and healthier, when they have the freedom to move.